Indulge yourself with pure pampering from the expert therapists at our Penang spa. You can relieve muscle tension and stress with a menu of soothing massages, body wraps and scrubs, including hot stone and shiatsu sessions. Our signature programmes all use natural ingredients, such as coconut and seaweed, to restore your inner well-being. 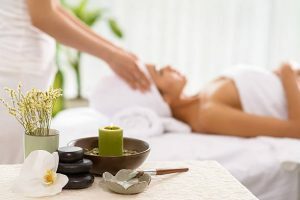 Additional treatments range from reiki healing sessions to manicures and pedicures, so while you’re on holiday in Penang, you’ll always look and feel your best.